The open road has long called to America’s pioneering spirit, and at American Coach, we built a luxury motor coach that would redefine your dream journey. 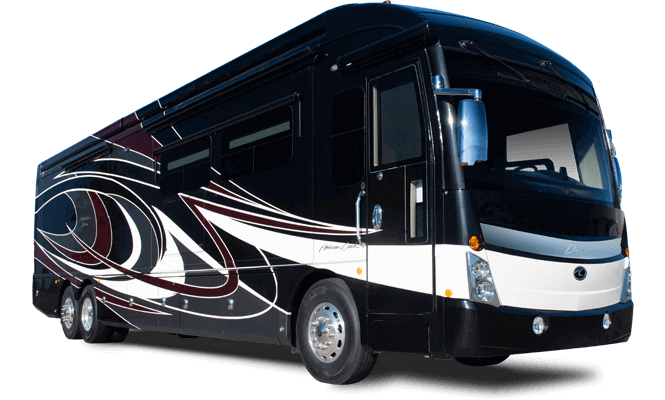 Riding on a custom Liberty Chassis and offering the most intuitive cab features, the American Dream RV makes getaways especially enviable. Plus, with an attention to detail that only American Coach delivers, this American Dream coach exceeds every expectation. 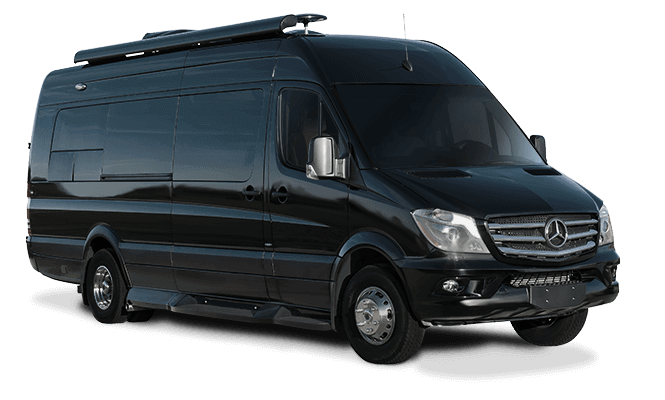 American Dream’s Silverleaf chassis monitoring system takes the guesswork out of driving your motor coach, transferring knowledge into horsepower. At last, you can maximize fuel economy, traverse a hill and monitor the engine’s every function. The Dream also features American Coach’s signature low-profile, dual-dash monitor design. And what’s a dream ride without Villa Ultraleather comfort, featuring heated seats, power lumbar, adjustable arms and passenger-side electric footrest. Simply intuitive. The American Dream revels in the details that you never knew you even needed. Take for instance the coach’s full-length rear wardrobe with built-in shoe shelf — your very own walk-in closet (select models). Clothes stay protected from moths in this cedar-lined closet, while full-extension drawers are tucked under an elegant solid-surface countertop. An electric First Alert hidden safe keeps valuables secure during your travels. 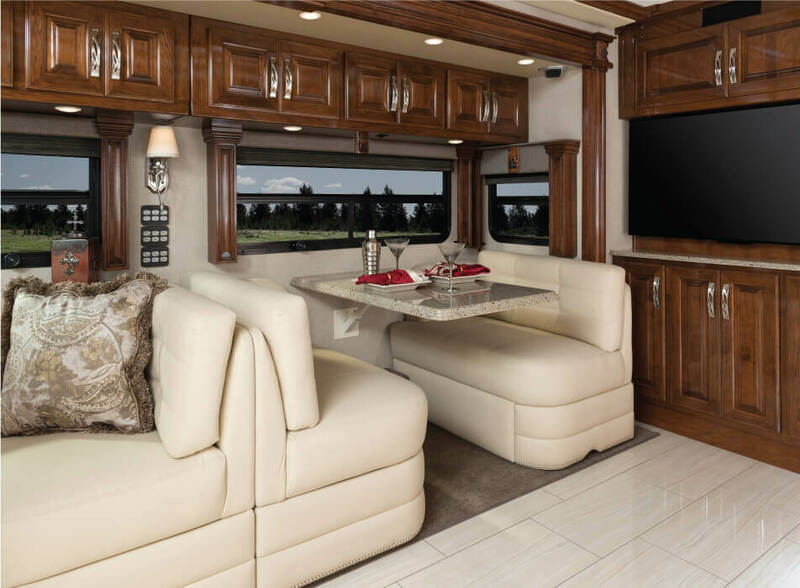 The American Dream offers a variety of dining configurations, including face-to-face seating and deep-base dinette storage, with a solid-surface table. All of this is nestled into a 30” deep full-wall slideout, creating spacious interiors. The dinette configuration offers file storage, slideout extension, laptop tray and folding guest chairs, while the countertop’s pop-up outlet with USB outlet answers the demand of tech-savvy travelers. At American Coach, we combine only the best ingredients to create each galley, starting with a Dehco high-rise faucet with pullout sprayer. Paired with a stainless-steel, under-mount, double-bowl sink, these touches set the American Dream apart. Plus, you’ll feel right at home with a Whirlpool French door refrigerator with in-door icemaker, while a convection microwave oven and flush-mount, two-burner induction cooktop is certain to bring out the chef in you. The Cummins ISL9 powers the American Dream. Delivering a 450 HP ride with 1,250 lb.-ft. of peak torque, the ISL9 has the highest power-to-weight ratio for strong towing capacity and features two-stage engine brakes and an Allison 3000 MH 6-speed transmission. 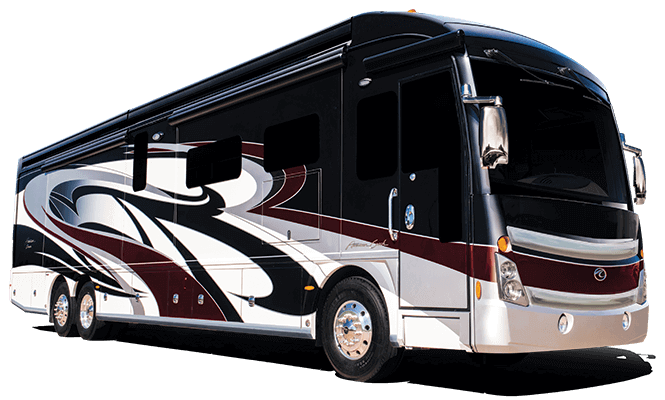 The beauty of American Coach is more than skin deep, featuring premium automotive paint for lasting finish, steel cab construction for added safety, sound absorption materials for a quiet ride and an interlocking framing system for unmatched durability. Everyone deserves to dream a little. (We know we did when we designed the 2018 American Dream. Now, it’s your turn to build your own dream coach.) Use our Build and Price feature to handpick your own interior décor, paint package and optional features. Start dreaming now! 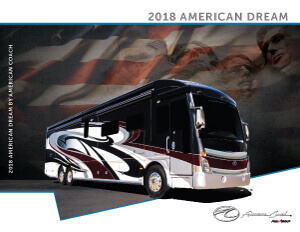 American Dream is backed by American Coach’s RV OWNERCARE warranty program, a limited one-year/15,000-mile coach warranty and three-year/45,000-mile structural warranty, whichever occurs first. And with each warranty comes a network of trustworthy dealers and regional technical centers ready to get you back on the road.